Okay, I admit. I'm a fanboy. I'd known about Jobs' health issues for many years: pancreatic cancer in 2004, leave of absence and liver transplant in 2009, leave of absence and resignation in 2011. His death was something that I was not only anticipating, but also expecting. When Steve Jobs died on October 5th, it shouldn't have surprised anyone. And yet it surprised everyone. I think it took everyone by surprise because so many people relied upon the products that he produced. It was as if we needed Steve alive. We needed him to continue to make life-changing and industry-forming* products. We weren't ready to see him go. When people mourn the death of another, either a loved one or a CEO, we are mourning the loss of that person's impact in our lives. I don't emotionally react to any other company's CEO's death because I don't emotionally connect to that company's products. However, Steve Jobs meant something to me. His products created (and then satisfied) needs in my life. When my aunt passed away last year, it affected me because it created a void in my life that she filled. Death ends life. Most of us view death as the end. But as a pastor, I teach that we should not view death as the end, but rather as a beginning. It is the beginning of our eternity. Our thoughts on death make us think about life. 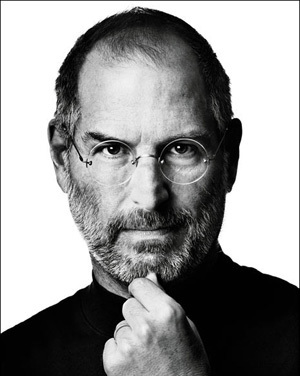 When we think of Steve Jobs' death, we naturally think of his life and we think of our own lives. What am I doing? Where am I going? What purpose am I serving? Even if I revolutionize industry after industry, or even if I give millions of dollars to the poor, or even if I raise my two wonderful children, my death is a beginning, not an end. So, today, I want to live with my eyes not on the end of my life, but on the beginning of my eternity.